Alcohol not only affects one’s life but in fact makes entire family suffering . Alcohol dwindles the personality of drinker. He shuns from good work & he commits many Vindictive activities. Everyone knows the bad effects of liquor. By reading horoscope we can find out the habit of liquor intake or kind of Intoxication a person is involved with. I have seen people dying with liquor & have even analyzed their horoscope as well. So if you drink, you should get rid of alcohol as soon as you can. If you want to know what is bad and worst there in liquor, first of all have a look how it is being made. 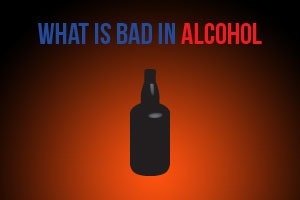 To know the vices of alcohol you need to see how it is being made. The foul lane is used to produce liquor by tempered myriad organisms in the fire. This is how the wine is produced. This intoxicated wine when person take in ,his mentality turns into vindictive nature. These bad factors finds its perch in the soul of drinker. Moon is known as symbol of mind. Rahu stands for intoxication. The twelve house of horoscope known as all forms of luxuries & enjoyments. 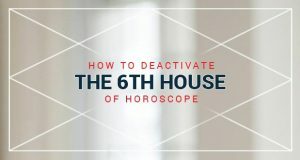 As much planets are placed In this house of horoscope, the person will do more and more expenditure on alcohol and toxic things. The person will make huge expense on bad things if bad planets (Mars, Rahu, Saturn, Ketu, Sun) are in the 12th house of horoscope. If planets are good in 12th house the person will do expenditure on good things. In that case if Rahu exists in 12th house, the person is involved in bad addictions. The existence of Saturn in the 12th house also indicates that the person is addictive. Rahu is even more bad than Saturn’s position in 12th house because 80 percent people take liquor who have Rahu is in 12th house of horoscope. When there is the relation of the lord of 12th house with Markesh (the lord of 2,3,7,8th house)then the person dies due to alcohol. In this regard, you should also consider the Lagnesh, Ashtamesh and Rasheesh (the lord of first house is Lagnesh, the lord of 8th house is Ashtamesh and the lord of moon sign is Rasheesh) because they are responsible for life and death. According to Indian Astrology if you do not expect guarantee, there is solutions being listed below. Meditate for 20 minutes with closed eyes. You don’t need to chant at this time just you have to concentrate. This will improve your will power & you will be able to control your mind. On Saturday, you have to devote Bhairo Devta & offer wine to Lord Bhairo. You should not drink on this same day. You have to repeat every Saturday this activity. Miracle happens, you will came to know by yourself after performing this remedy. Try to make Rahu in your favor because Rahu make the people addictive. Raise a Black Dog & serve him good. Get the medical care of injured animals. Get help of a good astrologer and find out which planet is the major cause of this bad habit.